The staff at NVS is currently working toward clinic-wide Fear Free Certification. This initiative is based on providing the safest, least stressful veterinary visit possible. By recognizing signs of fear, anxiety and stress we can adapt our approach and work toward creating positive associations with veterinary visits. Come hungry! Pets love treats and they respond favorably when they are offered. Many times, treats are the ticket to distracting a pet during injections or blood draws. Consider pheromone therapy, such as Feliway or Adaptil. These can be applied to Fluffy's carrier or spritzed on Fido's bandana. Pheromones can provide a calming effect, especially in high-stress situations. As much as you love your tunes in the car, the extra noise can be stressful to your pet. Try to keep the volume low and the music subdued. Keep Fluffy's kitty carrier accessible at all times, so she can sleep and play in or around it. Add toys, blankets and pheromones to make the carrier more enticing! 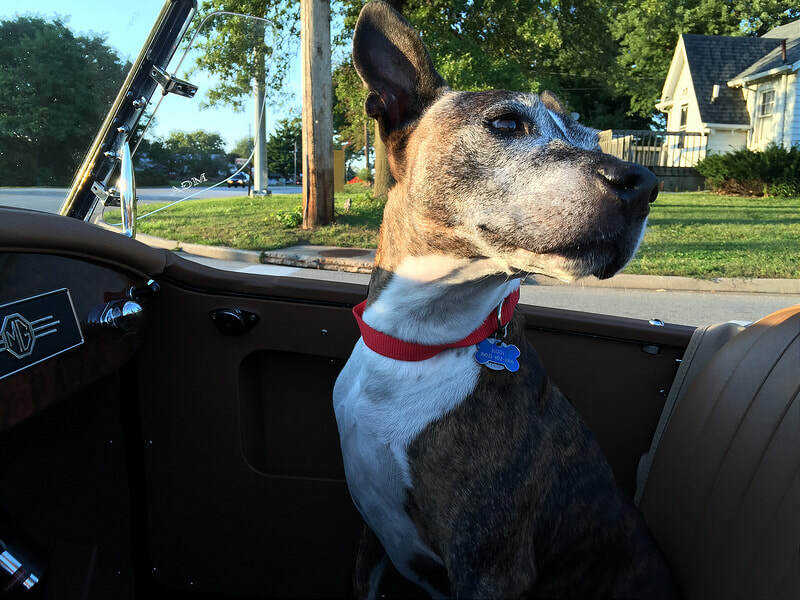 Take Fido for a ride and use a pet-safe harness to keep him safely restrained in the vehicle; and practice leash-walking often! Be sure to offer lots of treats for good behavior! Don't be a stranger to the clinic! Bring pets in frequently to step on the scale and take treats from the staff. We want to build positive associations with veterinary visits! If your pet has significant anxiety, be sure to let us know. We can help you plan ahead for the best visit possible. We will have your exam room ready and clear the lobby for your entry. OR, let us come to you! Home visits are a great option for pets who dread the clinic. When our pets are stressed or fearful, their health is in jeopardy. Increased or prolonged stress contributes to compromised health and slower healing or recovery from illness and procedures. With this in mind, we are committed to treating your pet's physical well-being, as well as emotional well-being. For more information, please visit: www.fearfreepets.com.